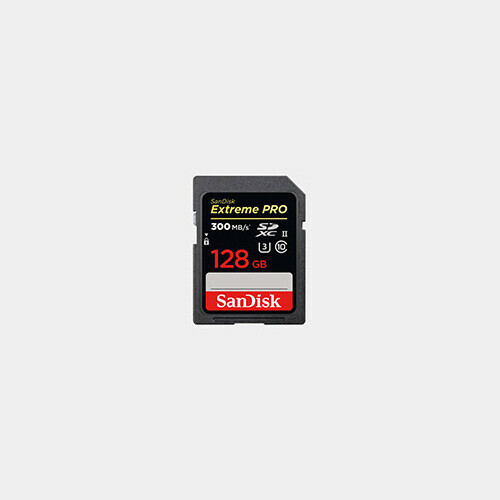 The 128B Extreme PRO SDXC UHS-II Memory Card from SanDisk features a 128GB storage capacity perfect for storing a variety of files including RAW and JPEG formatted images, sequential burst shots, and even high-definition video. With a UHS Speed Class rating of 3 you benefit from the ability to capture uninterrupted 4K, 3D, and Full HD video at a minimum sustained write speed of 30 MB/s. 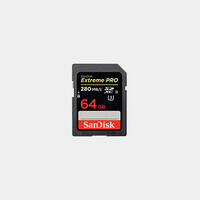 This 128GB Extreme PRO SDXC UHS-II memory card supports a maximum data read speed of up to 280 MB/s along with a maximum data write speed of up to 300 MB/s allowing you to speed up your workflow through quick, efficient data transfers.